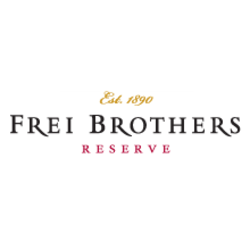 Frei Brothers Reserve is a winemaking story more than a century in the making. In 1890, Swiss immigrant Andrew Frei purchased the core of what is now Frei Ranch in Sonoma County's Dry Creek Valley. The superb stretch of land was already a vineyard, but Frei brought it to prominence when he built a winery that produced 20,000 cases of wine annually by 1895. In 1903, Frei turned the winery over to his sons, Walter and Louis, who adopted the name Frei Brothers.